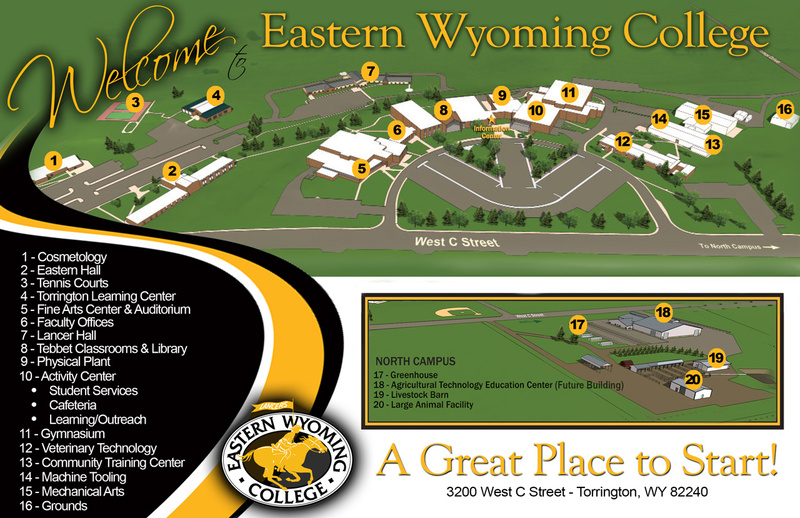 Eastern Wyoming College is hosting Lancer Look on Monday, February 19, 2018. Lancer Look is a visitation day that gives students the opportunity to tour the campus. Students will also meet with instructors, coaches, activity sponsors, and visit a class. Parents and students will also learn more about EWC scholarships and other federal financial aid, housing and enjoy lunch in the cafeteria. Registration begins at 8:30 am in the lobby of the EWC Fine Arts Center. Lunch will be provided and there will be drawings for book waivers valued at $250 provided by the EWC Foundation. Interested students should preregister to attend Lancer Look. Registration is available on the EWC website at ewc.wy.edu or by calling Marisol Chavez in the EWC Admissions office at 307.532.8230. Students are also invited to attend FAFSA Frenzy which will be held on the prior Sunday, February 18 from 3-5 pm. Financial aid experts will be available to assist with the completion of the Free Application for Federal Student Aid (FAFSA). For more information on FAFSA Frenzy contact EWC’s Director of Financial Aid, Susan Stephenson, at 307.532.8325.